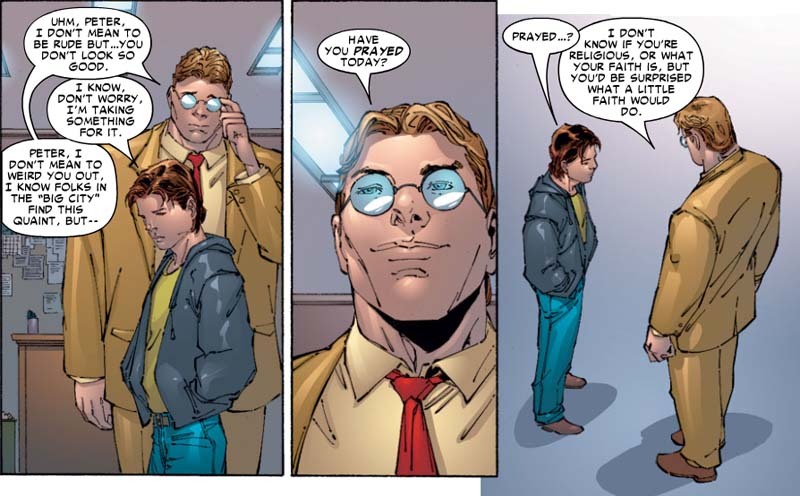 BELOW: Ethan Edwards asks Peter Parker if he has prayed today: New star reporter Ethan Edwards is a direct Superman parody who J. Jonah Jameson has partnered with Peter Parker (a.k.a. Spider-Man). Edwards is a deeply, sincerely religious Protestant Christian. Seeing that Peter Parker looks a little down, he asks his co-worker if he has prayed. Ethan adds, "I don't know if you're religious, or what your faith is, but you'd be surprised what a little faith would do." BELOW: Spider-Man prays with Superman: Well, almost. The new star reporter at the Daily Bugle is a direct Superman parody. Deeply religious, he pulls his co-worker Peter Parker (a.k.a. Spider-Man) into a closet in order to pray to the Lord. Ethan is secretly arranging an opportunity to use his healing powers on Peter, but his deep religiosity and his sentiments about prayer are sincere, as seen in the following issues. Ethan tells Peter, "Open your heard to the Lord." Ethan also advises, "Don't underestimate the power of prayer, Peter." 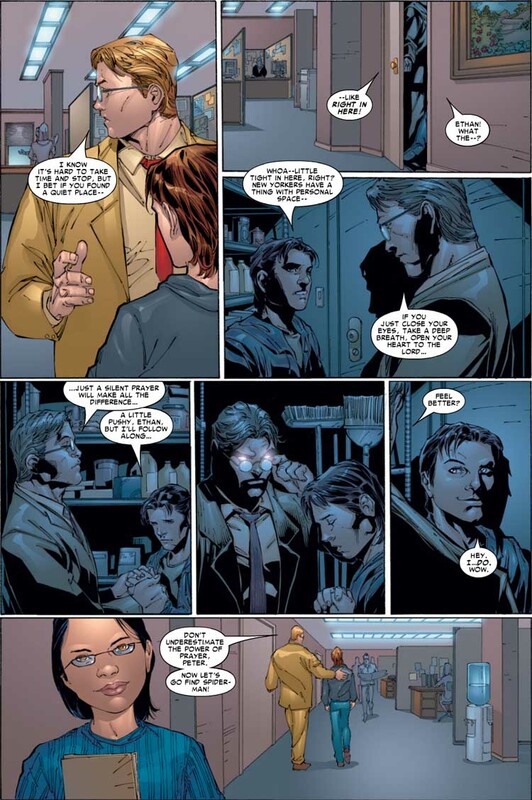 A fascinating reveal comes at the end of Marvel Knights Spider-Man #18: Reed Richards researched Ethan Edwards extensively and found that the ability to heal others was NOT among the powers he had been imbued with by his father. 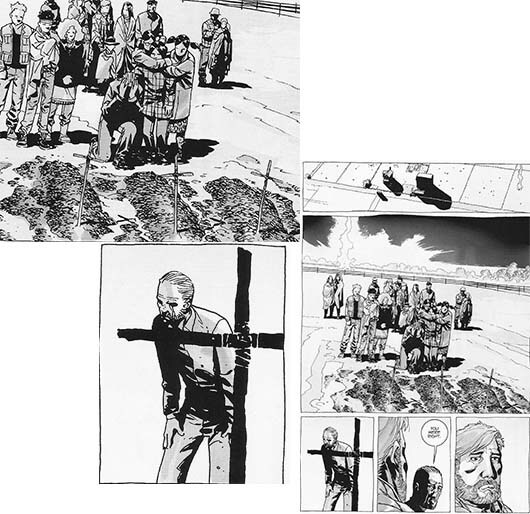 The last page of issue #18 reveals that Ethan's power to heal really did come from prayer. 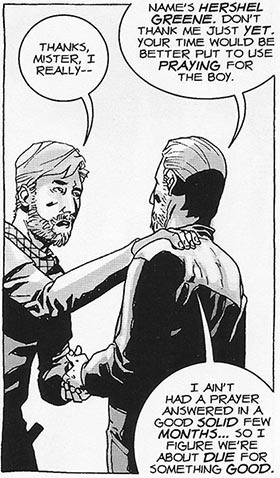 Hershel: Name's Hershel Greene. Don't thank me just yet. Your time would be better put to use praying for the boy. I ain't had a prayer answered in a good solid few months... So I figure we're about due for something good.